I am firm believer in repurposing furniture or most any item around the house you are thinking about tossing. How about wooden pallets? Something most would not give a second thought to keeping. 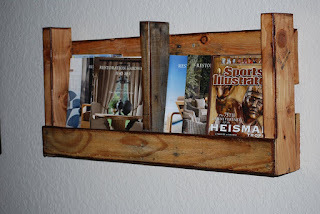 Before you toss them out, you might want to read these ideas from my guest blogger Lillian Connors for turning those wooden pallets into creative and useful pieces. Wooden pallets are becoming increasingly popular among DIY-ers, as people are finding various innovative purposes for the items that were once considered only as utilities for storing and transporting goods. Today, there is a wide range of repurposing solutions to make them into interesting pieces of furniture like coffee tables, shoe cabinets, or storing items. Anybody can get them at a very low price, and that is what made them so popular in the first place. 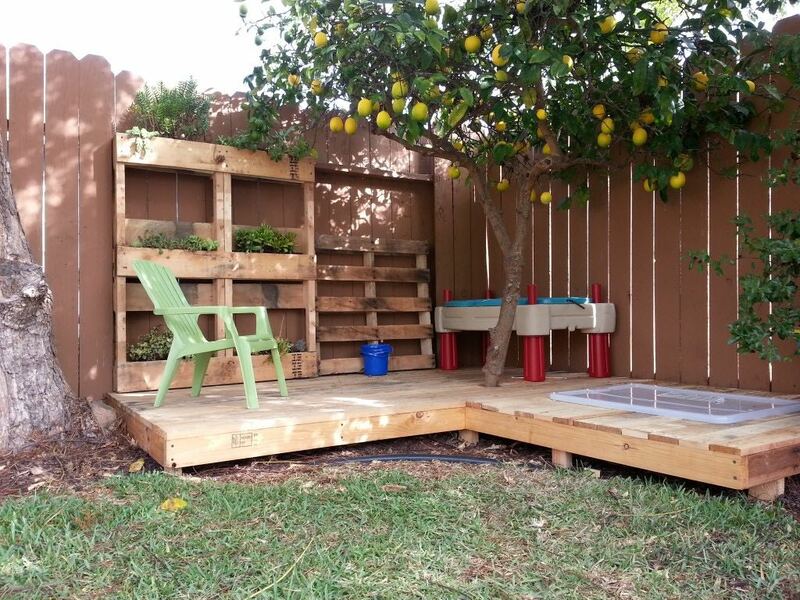 If you are skillful enough with carpentry tools and passionate about reducing the negative impact on your environment, then recycling and reusing old wooden pallets is a great way to achieve that. A great deal of wooden pallets can be found near factories, behind supermarkets, storage facilities or besides dumpsters, as their fundamental use is the one of stock and shipping crates. However, before you begin with your DIY project, you have to know that not all pallets can be repurposed, especially if the wood is damaged. If they were stored properly on industrial pallet racks, the chances you will be able to transform them into chic décor features. Also, if there is no MB stamp on it, then it is possible that the palette was chemically treated, so you should steer clear of it. Wooden pallets can be easily transformed into great, rustic-looking shelves as serve as additional storage places in your residence. 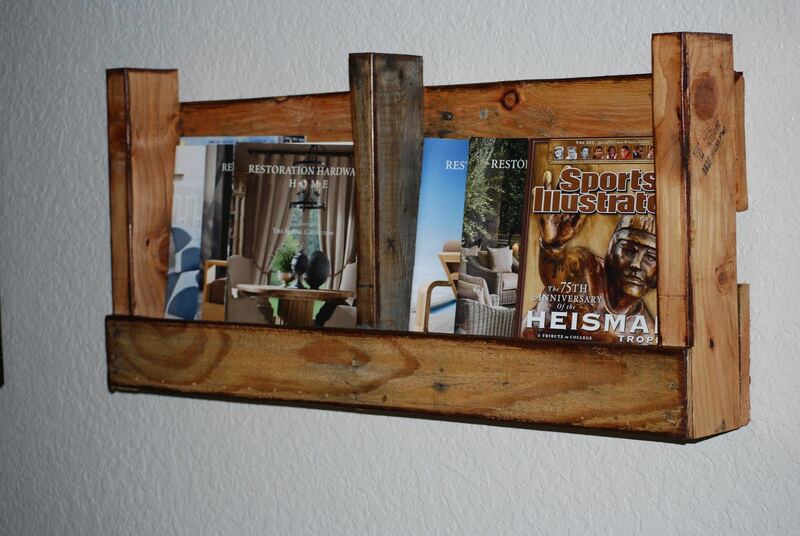 You can use them to make shelves for both indoor and outdoor. If you have a plan to make shelves from them, you will have to disassemble the pallets and tailor the planks to needed lengths. Before assembling them into a shelf, you should smoothen those planks so the things that are to be stored there do not get damaged in some way. A set of power tools, such as a power drill, jigsaw and an orbital sander, would be of great value to this project. These pallets can be used for making wine storing shelves, kitchen shelves, or display shelves (as a merely decorative element). They will end up as an extremely cheap, but functional and authentic indoor or outdoor storage units, and you will be able to make them yourself. The cheapest and simplest backyard deck can be made out of wooden pallets without a hitch. 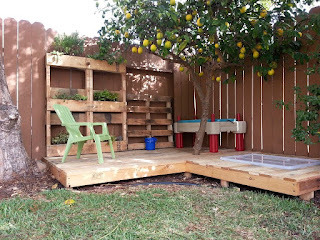 So, instead of troubling yourself with raising money to buy and mount a backyard deck, make it out of recycled pallets, and save yourself some money. Still, this DIY project is a bit more extensive, and you will need to inspect and measure and prepare the area the pallet deck will be covering. Wooden pallets that you had collected should then be inspected, for they need to be firm enough or else they cannot be used as a supporting construction. Connect the pallets to each other with drywall screws, and use rocks or scrap bricks to lay down under those places where the ground seems to be uneven. Spaces between boards can be filled with any kind of scrap lumber. Imagine that you are throwing a party and realize all of a sudden that there is not enough room for all guests to sit. If you decide to make a practical, cheap and time-effective wooden pallet modular seating, the chances of encountering this sort of problems are brought to the very minimum. 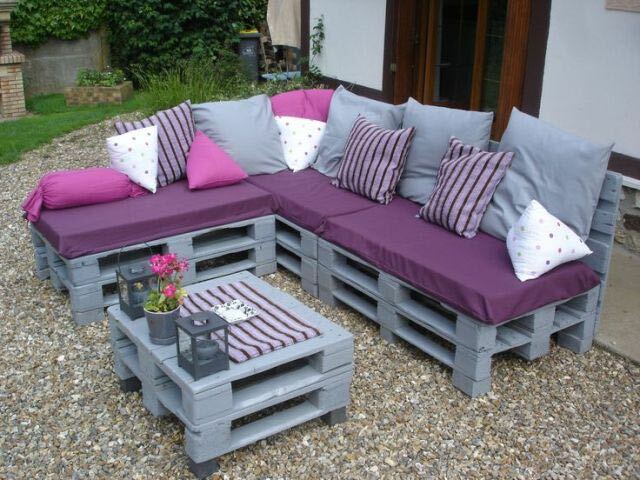 Pallets, due to their ease of use, can be transformed into any piece of furniture. Building a modular seating is a complex project, but can be done thanks to the impressive versatility of wooden pallets. This kind of seating can be rearranged and adjusted, depending on your desires. The primary purpose of these pallets is in transport and shipping, but they eventually find their way into our homes. They are very useful and versatile, and can be transformed into various furniture pieces with a bit of skill and imagination.